This luxurious France villa in St Paul de Vence is ideally situated for exploring the Cote d’Azur. 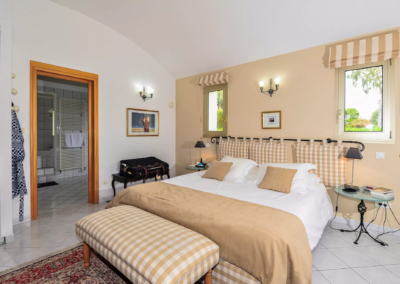 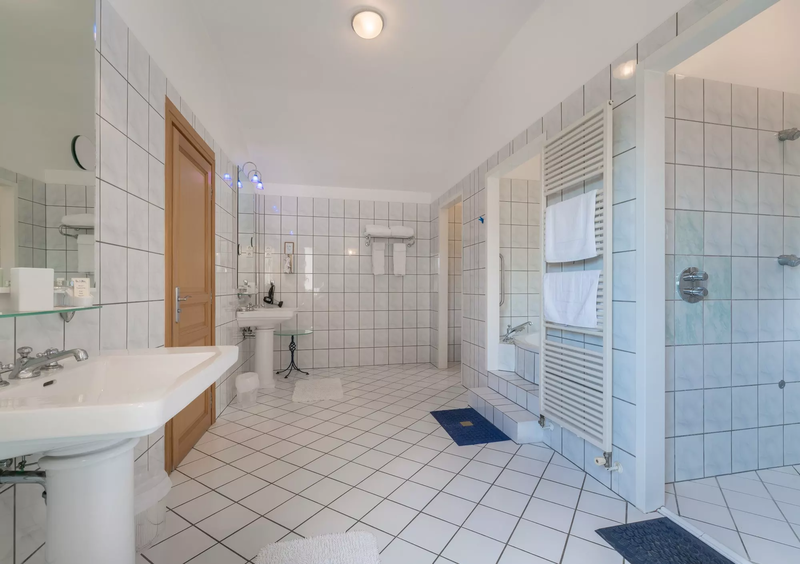 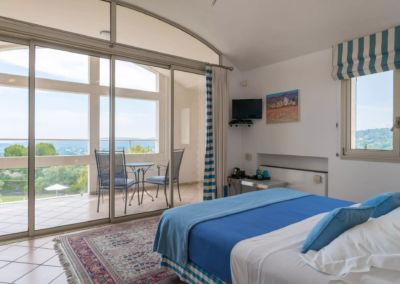 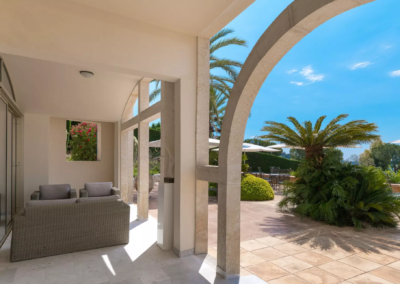 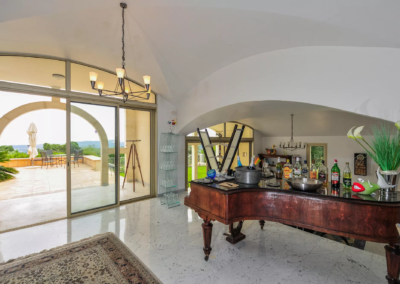 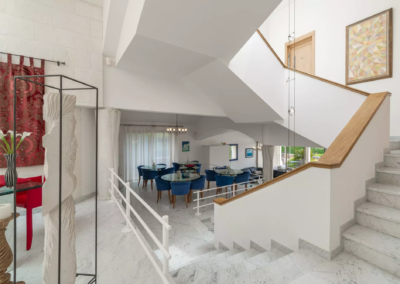 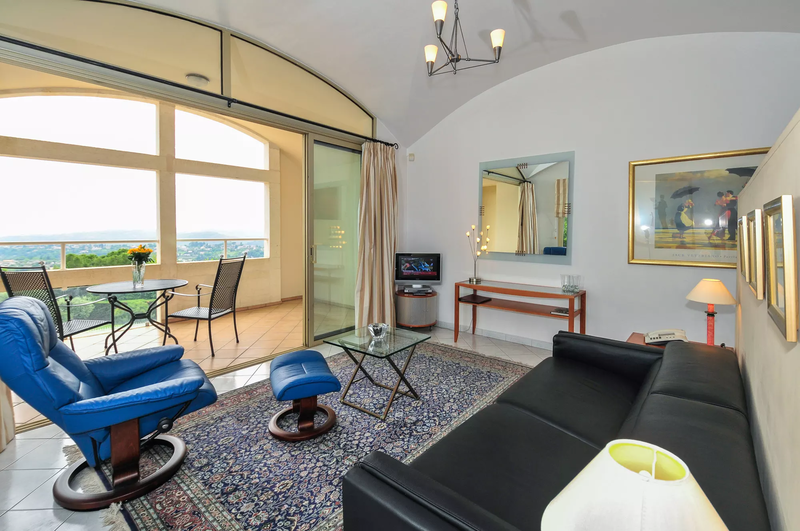 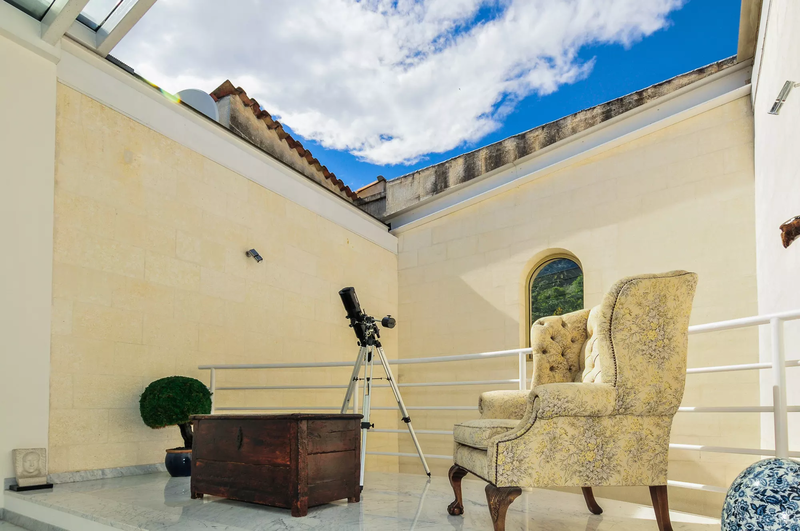 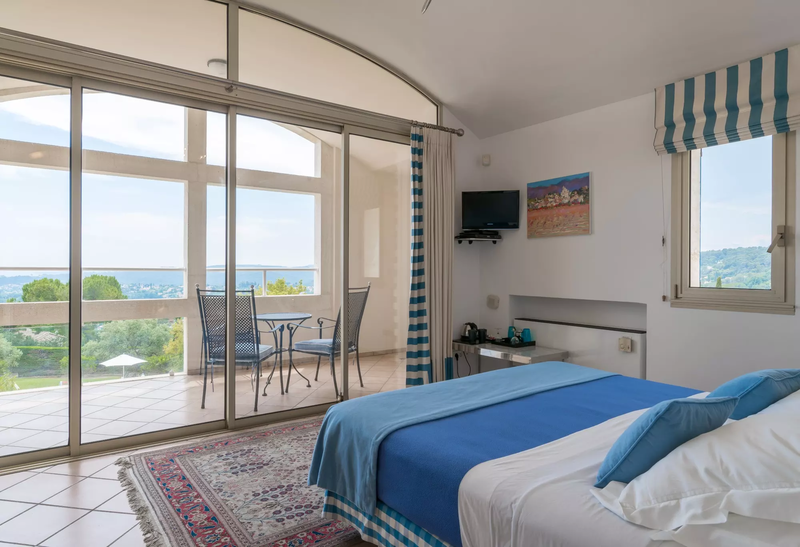 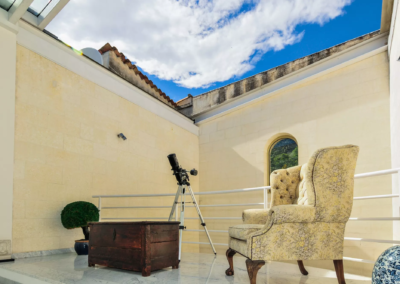 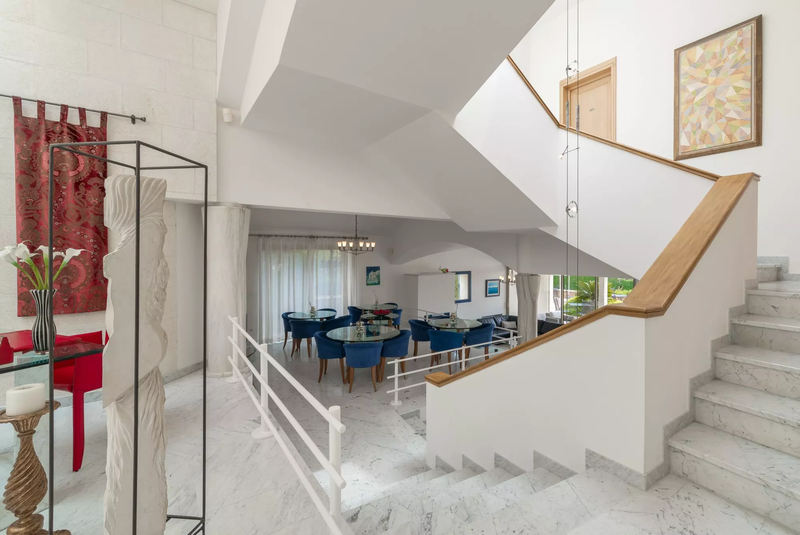 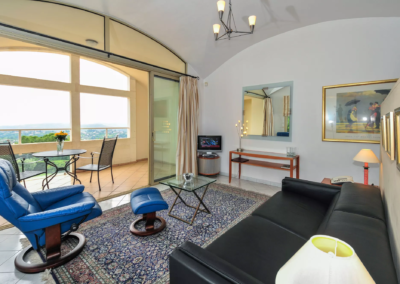 Some of the features which make Villa Prestige a superb location for a family holiday are the glass retractable roof, marble floors, ensuite bedrooms, exceptionally large swimming pool and dramatic views. 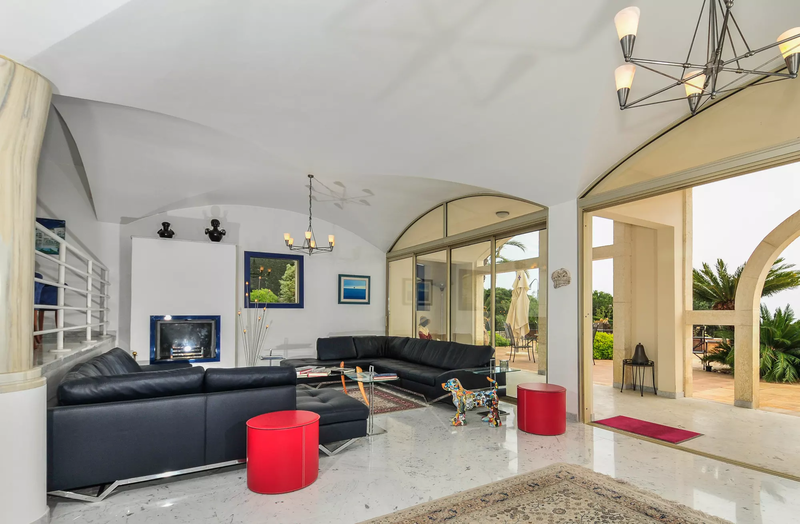 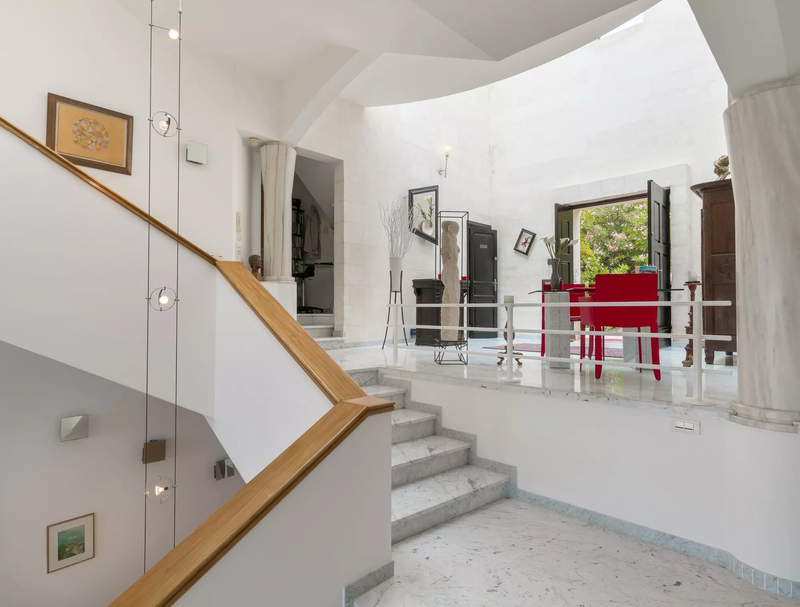 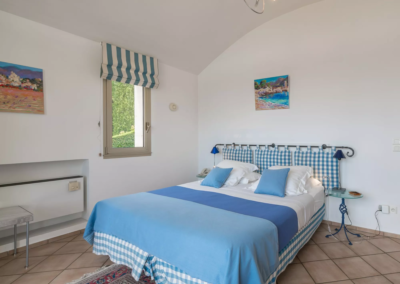 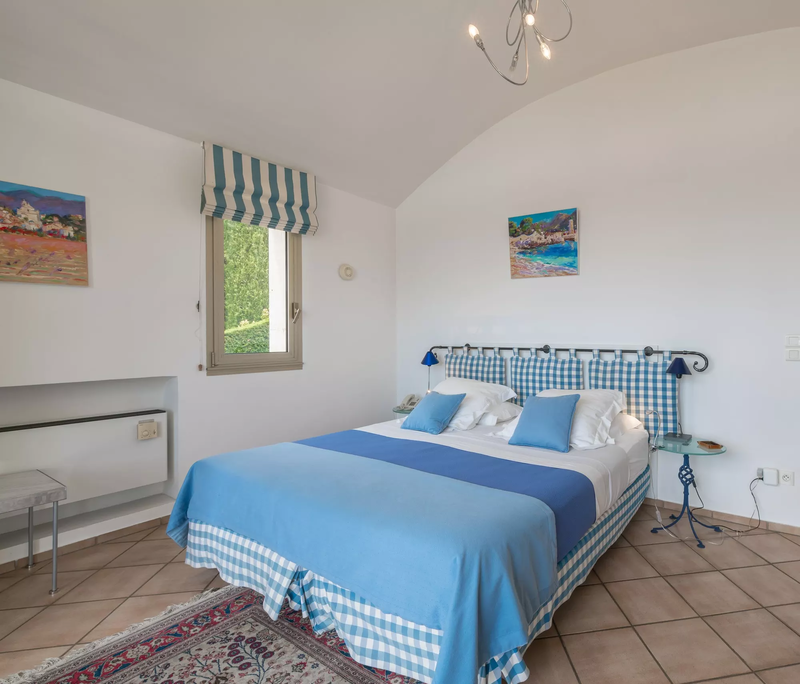 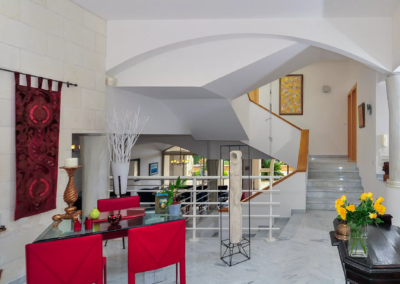 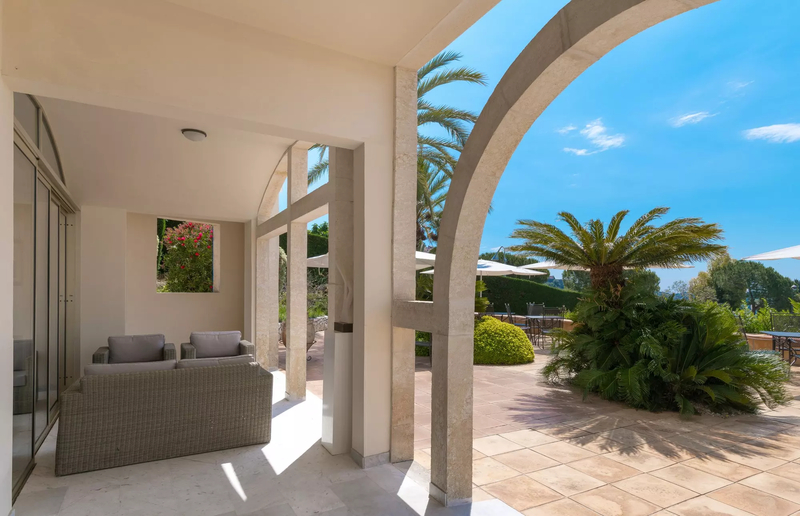 Villa Prestige is spacious and light, with elegantly furnished interiors and a large terrace overlooking the pool which spans the length of this modern villa. 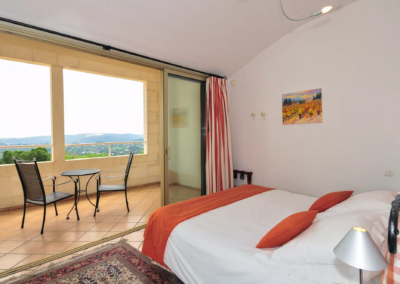 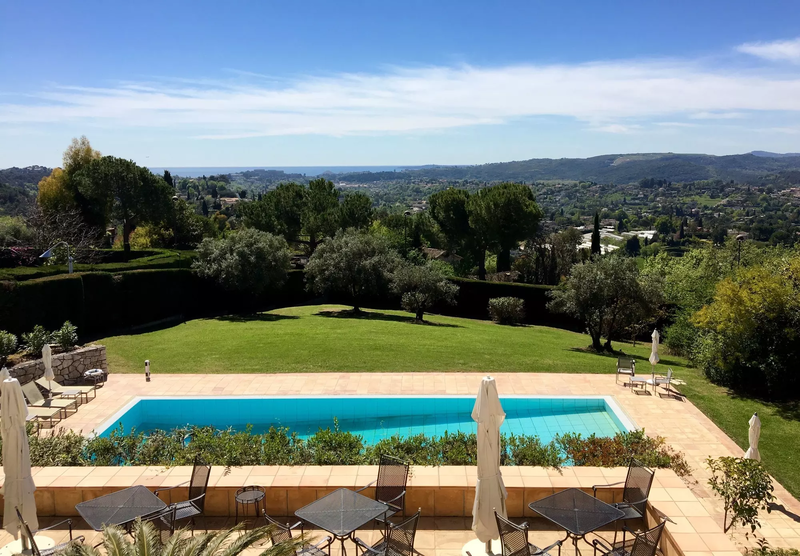 It is ideal for dining and admiring the views towards the hill top village of St Paul de Vence, or the distant sea views. 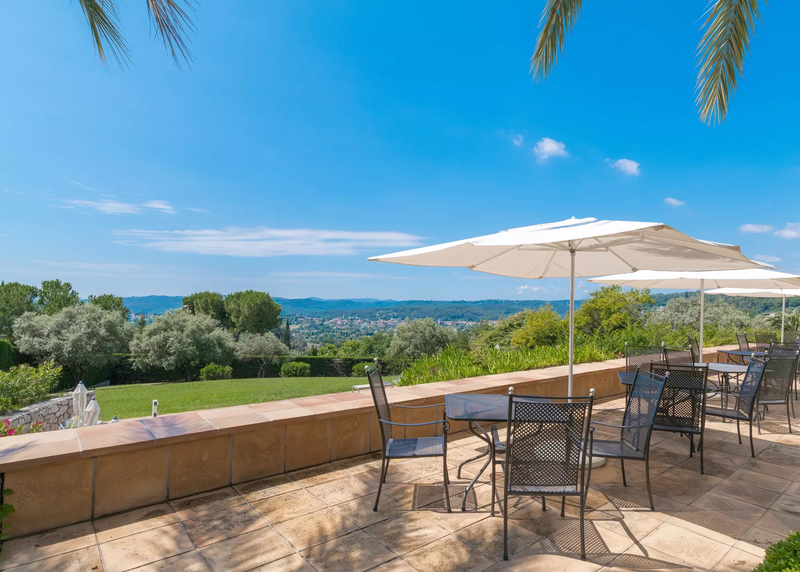 A short walk away, St Paul de Vence is the unique, picturesque backdrop to this villa, with narrow cobbled streets, restaurants and craft shops or for touring the Riviera itself. 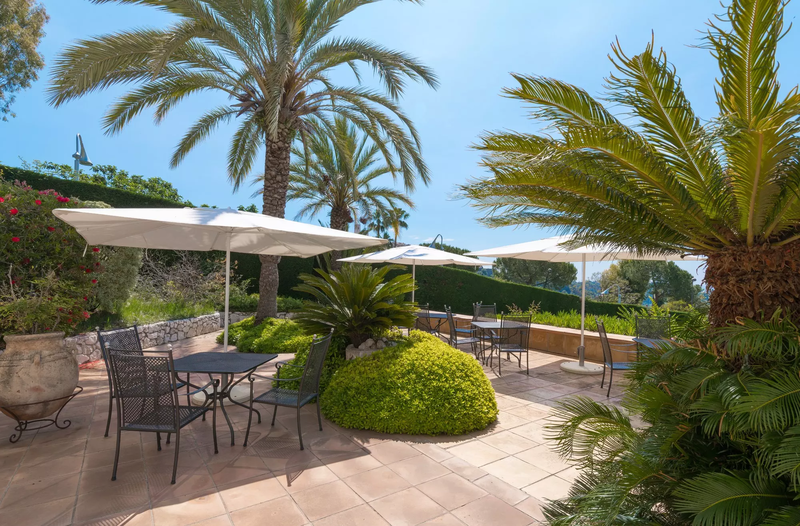 For art lovers, the Maeght Foundation Museum of modern art is also a short walk away, featuring works of Chagall, Kandisnky, Miro’ and Giacometti. 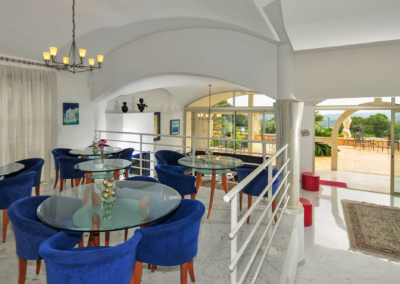 Furthermore, one of Matisse latest masterpieces can be admired in the Chapelle du Rosaire, towering over the town. 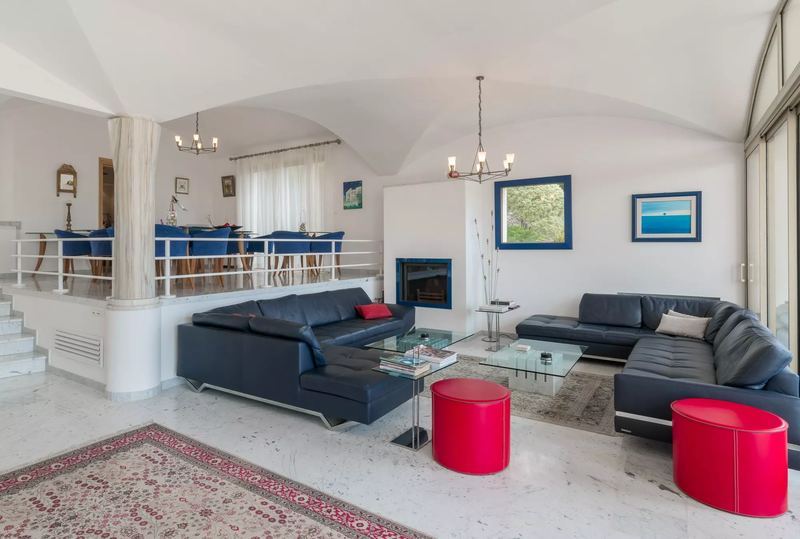 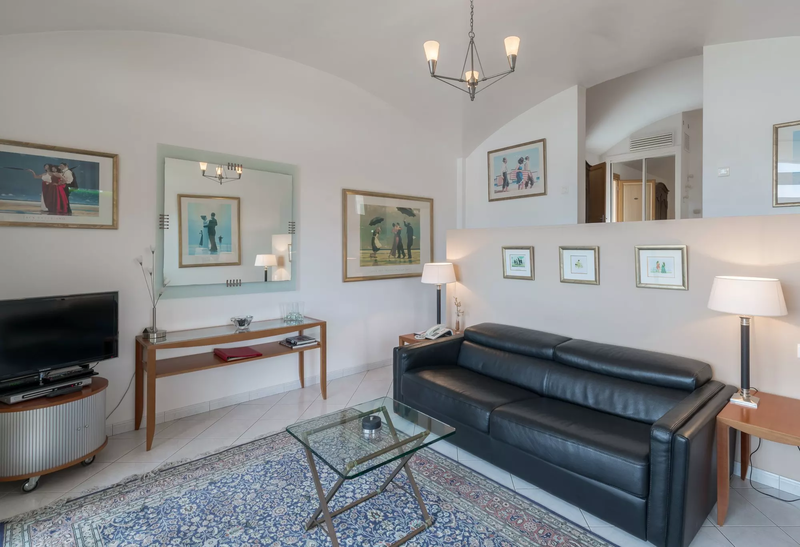 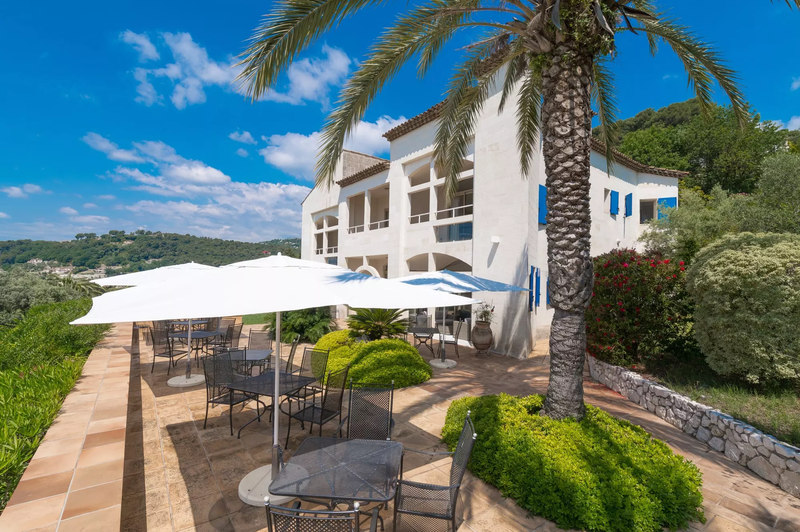 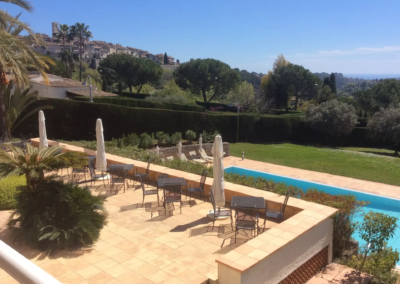 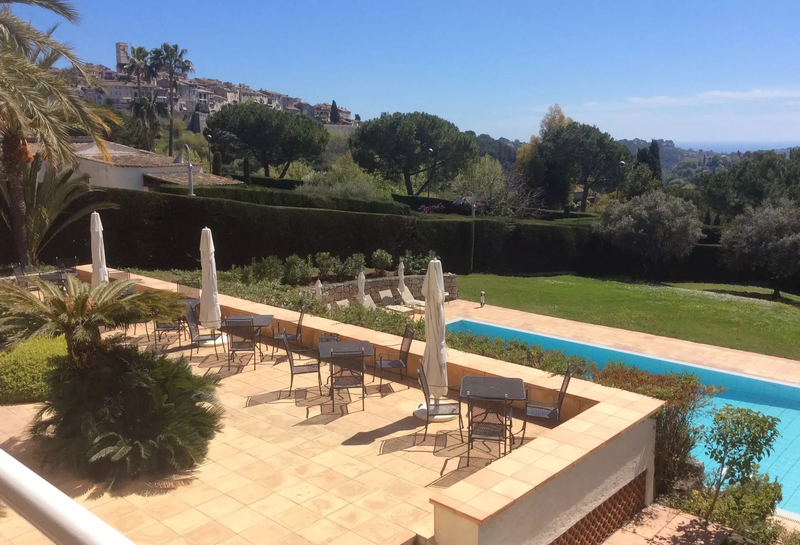 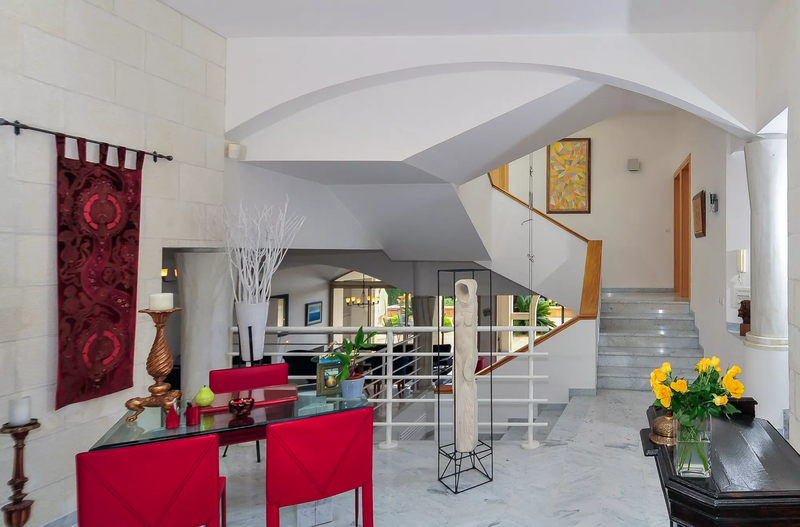 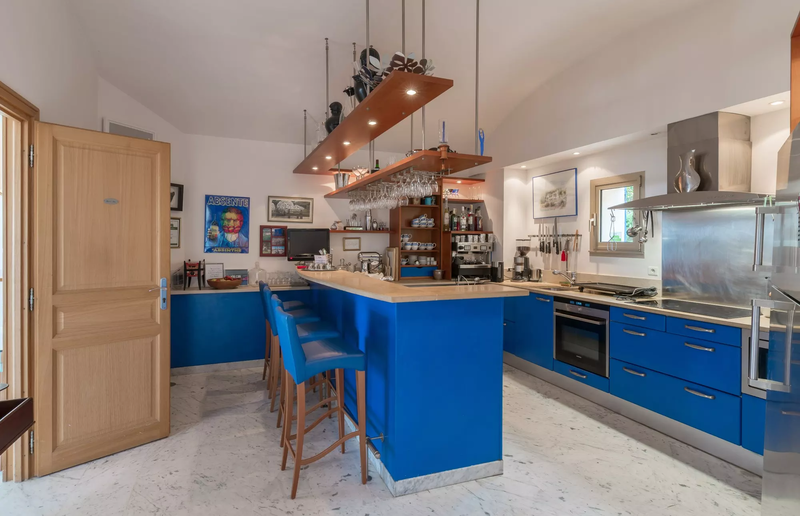 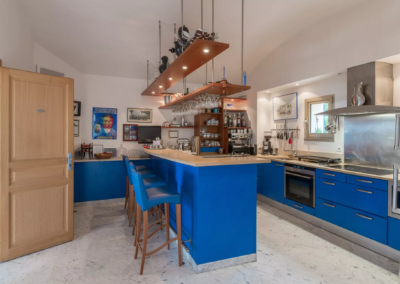 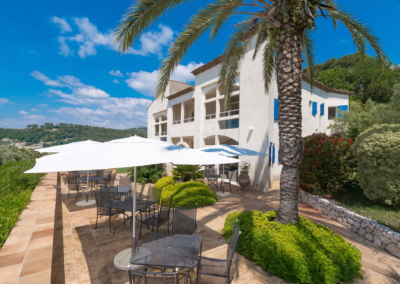 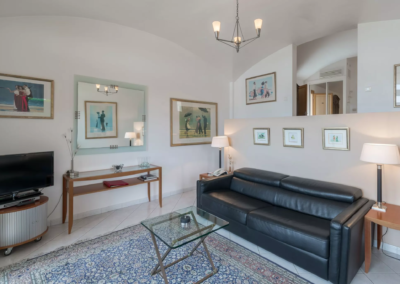 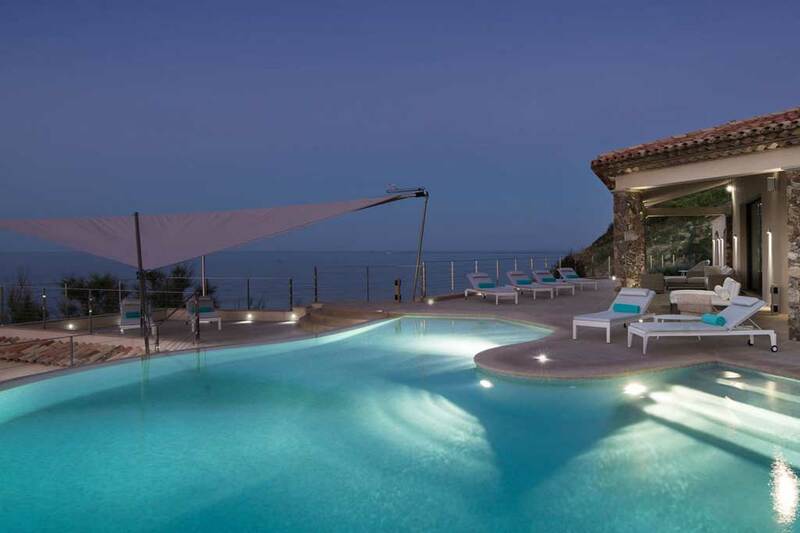 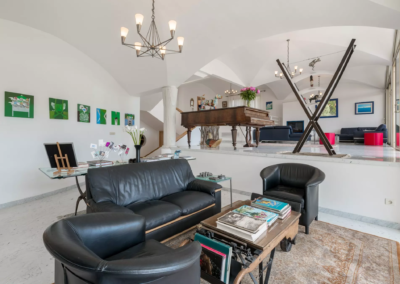 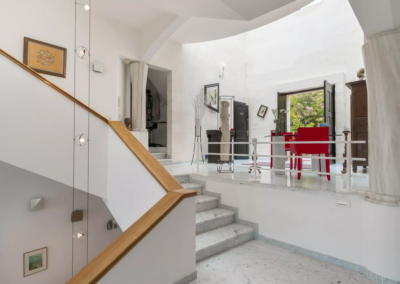 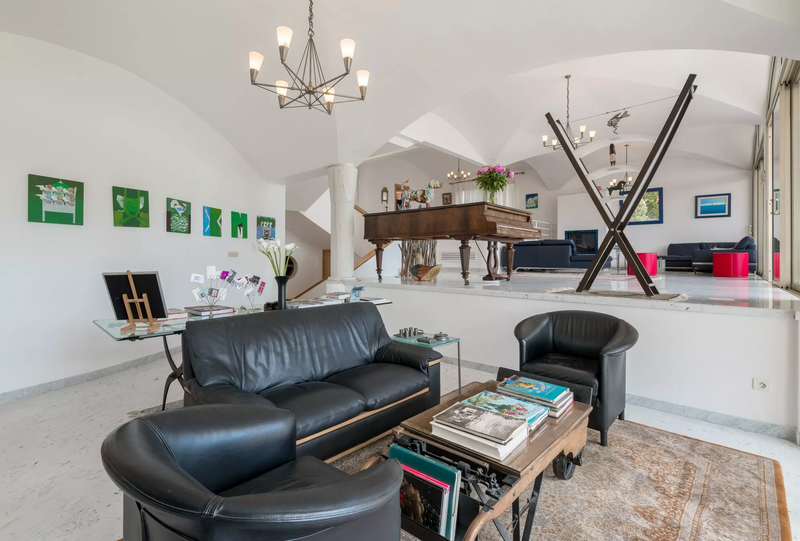 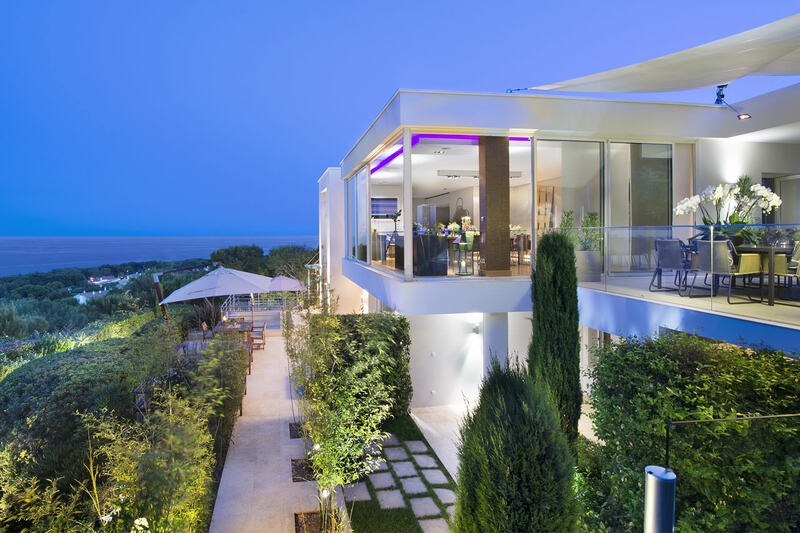 The glorious Cote D’Azur and its many renowned beaches is only seven miles away from this luxury villa in St Paul de Vence, offering exciting nightlife, water sports, spectacular landscapes and opportunities to enjoy a memorable holiday. 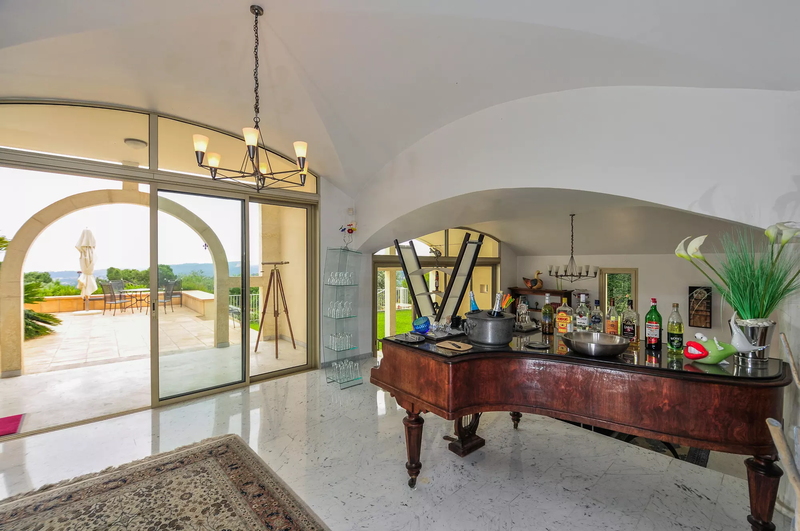 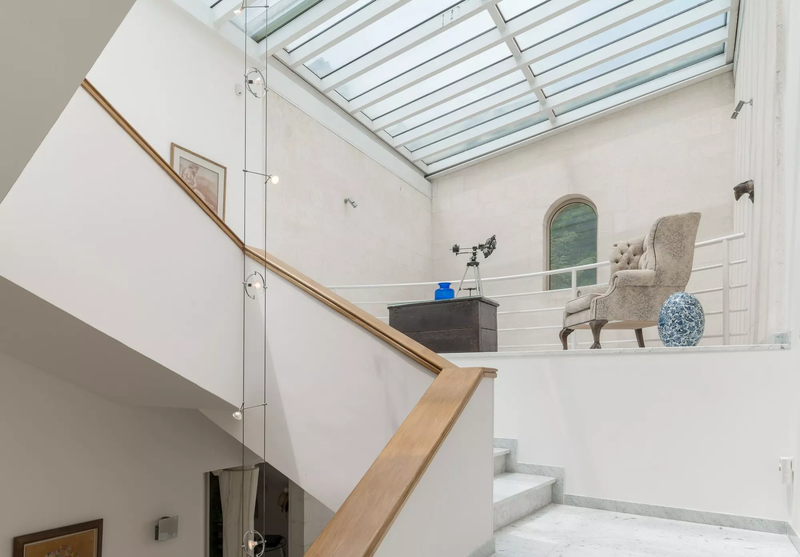 Open-plan, split-level living/dining room, grandpiano, wall to wall windows and patio doors, to a large terrace overlooking the pool and garden. 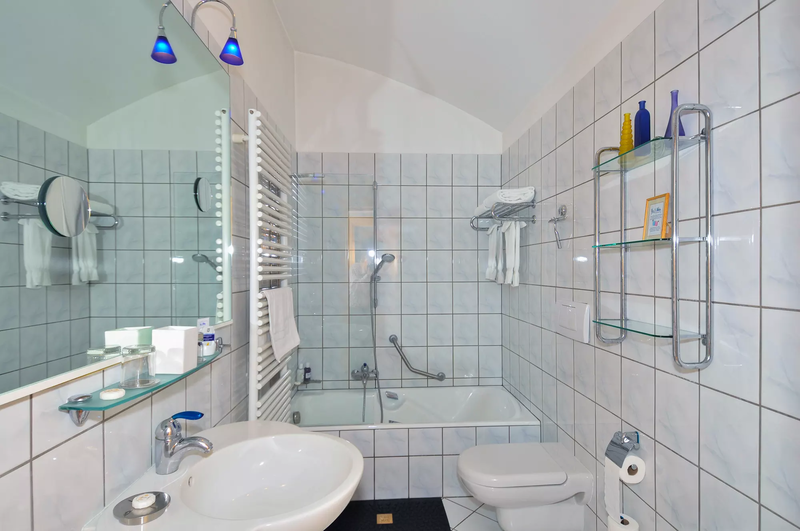 2 x twin/double bedrooms, (TV, DVD, video, fridge) ensuite bathrooms, WCs. Twin/double bedroom, (TV, DVD, video, fridge), French door to balcony, ensuite shower room, WC. 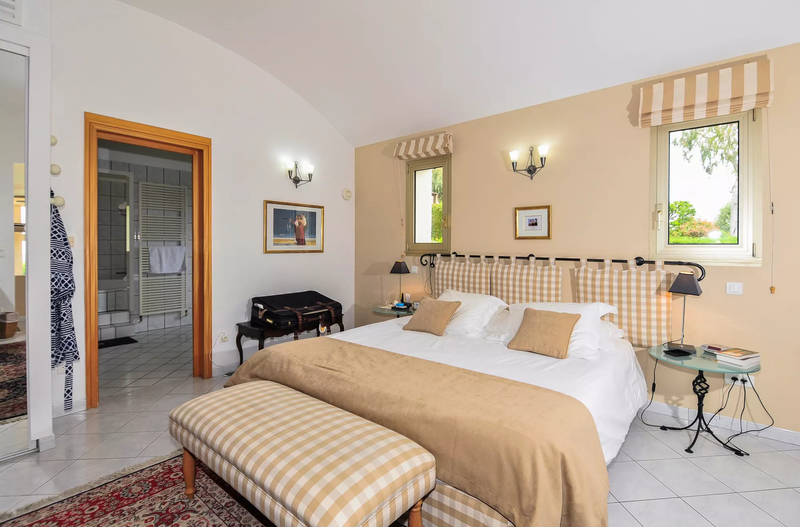 Please let us know your bed requirement at time of booking. 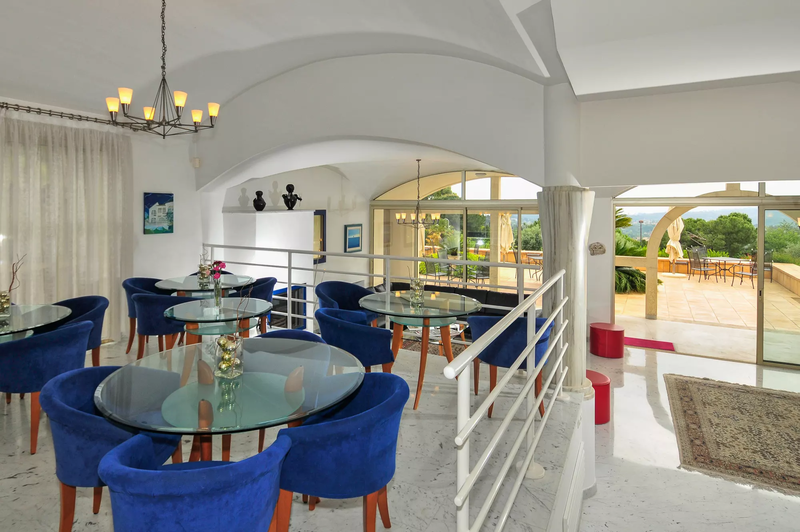 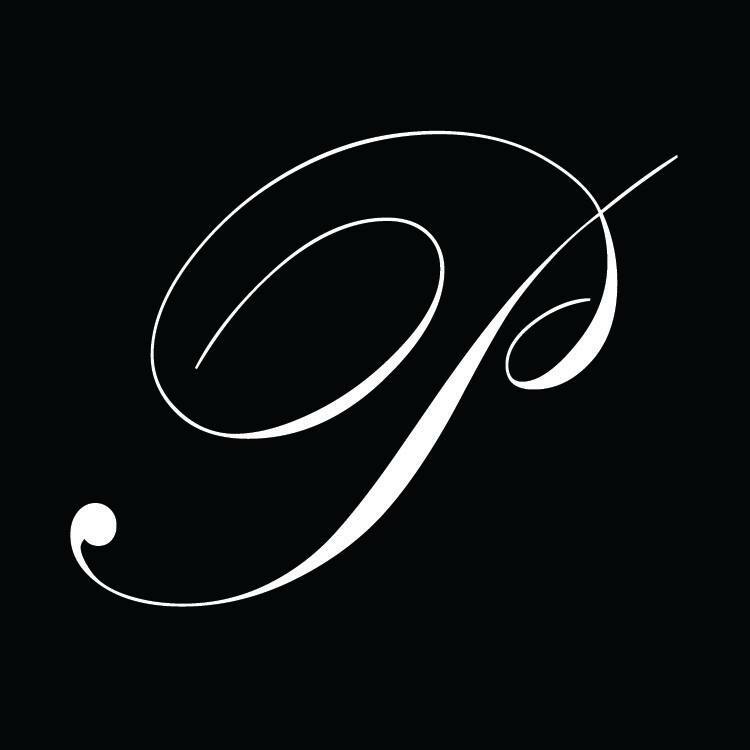 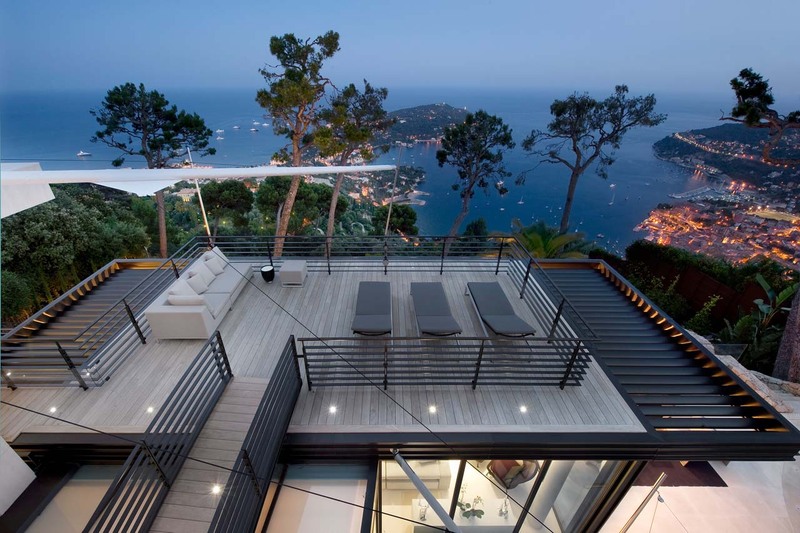 The elegant, contemporary interior design and picturesque surroundings.